Last year, Obama signed into law so-called fast track “trade promotion authority (TPA)”, enabling him to expedite the legislative process for pending Trans-Pacific Partnership (TPP) and Transatlantic Trade and Investment Partnership (TTIP) bills. Anti-BDS provisions were included – so-called guidelines aimed discouraging European, Asian and other governments from permitting BDS activities, leveraging US trade as an incentive to prohibit them. In mid-February, Obama announced his intention to sign into law the House and Senate passed Trade Facilitation and Trade Enforcement Act of 2015 – legislation failing to distinguish Israeli goods and services from illegal settlement ones. It’s a slippery slope toward prohibiting BDS activities altogether – a First Amendment guaranteed right. Last October, a French court ruled against BDS activism, outrageously calling it hate speech. 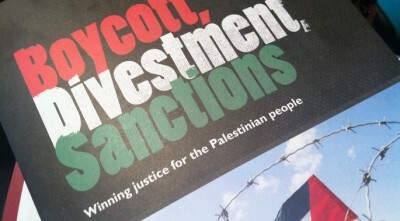 The global BDS Movement explained impending new UK rules “make it harder for local councils and other public bodies including universities to make ethical procurement or investment decisions” – aimed at countering growing BDS activism, a step toward banning it altogether. Cameron’s support for Israel’s worst crimes matches Margaret Thatcher’s South Africa apartheid advocacy. Canada marches in lockstep, one-sidedly supporting Israel, ignoring its high crimes, backing them by failing to act responsibly against them. On Monday, a parliamentary motion condemning “any and all attempts” to promote BDS activism at home and abroad passed overwhelmingly. It calls for condemning BDS activism in all forms, claiming it “promotes the demonization and delegitimization” of Israel. Anti-BDS measures violate the letter and spirit of free expression rights, “enshrined in Canada’s Charter of Rights and Freedoms” – core principles of democratic governance. Israel is a fascist police state, run by racist Zionist zealots. Canadian liberal and conservative governments one-sidedly support it, like US Republicans and Democrats – partnering in its highest of high crimes. Israel turns truth on its head, calling BDS activists anti-Semites, along with labeling Jews opposing its rogue policies self-hating. Intelligence gathering efforts along with cyber-attacks aim to counter BDS effectiveness. “(F)looding the internet” with pro-Israeli content aims to drown out BDS messages. BDS co-founder Omar Barghouti said “quite a few web pages” BDS sites linked to mysteriously disappeared. He holds Israeli cyber-sabotage responsible – at the same time, explaining it failed to diminish BDS effectiveness. Founded in July 2005, global BDS activism proved remarkably resilient. It’s a vital just cause idea whose time has come – deserving universal support.